Governments and private organizations have developed car classification schemes that are used for various purposes including regulation, description and categorization, among others. This article details commonly used classification schemes in use worldwide. This following table summarises common classifications for cars. Microcars and their Japanese equivalent— kei cars— are the smallest category of automobile. Microcars straddle the boundary between car and motorbike, and are often covered by separate regulations to normal cars, resulting in relaxed requirements for registration and licensing. Engine size is often 700 cc (43 cu in) or less, and microcars have three or four wheels. Microcars are most popular in Europe, where they originated following World War II. The predecessors to micro cars are Voiturettes and Cycle cars. Kei cars have been used in Japan since 1949. The smallest category of vehicles that are registered as normal cars is called A-segment in Europe, or "city car" in Europe and the United States. The United States Environmental Protection Agency defines this category as "minicompact", however this term is not widely used. The equivalents of A-segment cars have been produced since the early 1920s, however the category increased in popularity in the late 1950s when the original Fiat 500 and BMC Mini were released. The next larger category small cars is called B-segment Europe, supermini in the United Kingdom and subcompact in the United States. The size of a subcompact car is defined by the United States Environmental Protection Agency (EPA), as having a combined interior and cargo volume of between 85–99 cubic feet (2,410–2,800 L). Since the EPA's smaller minicompact category is not as commonly used by the general public, A-segment cars are sometimes called subcompacts in the United States. In Europe and Great Britain, the B-segment and supermini categories do not any formal definitions based on size. 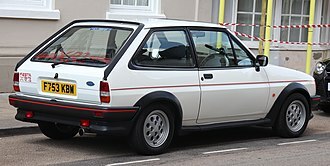 Early supermini cars in Great Britain include the 1977 Ford Fiesta and Vauxhall Chevette. In the United States, the first locally-built subcompact cars were the 1970 AMC Gremlin, Chevrolet Vega, and Ford Pinto. The largest category of small cars is called C-segment or small family car in Europe, and compact car in the United States. The size of a compact car is defined by the United States Environmental Protection Agency (EPA), as having a combined interior and cargo volume of 100–109 cu ft (2.8–3.1 m3). In Europe, the third largest category for passenger cars is called D-segment or large family car. In the United States, the equivalent term is mid-size or intermediate cars. The U.S. Environmental Protection Agency (EPA) defines a mid-size car as having a combined passenger and cargo volume of 110–119 cu ft (3.1–3.4 m3). In Europe, the second largest category for passenger cars is E-segment / executive car, which are usually luxury cars. In other countries, the equivalent terms are full-size car or large car, which are also used for relatively affordable large cars that aren't considered luxury cars. Minivan is an American car classification for vehicles which are designed to transport passengers in the rear seating row(s), have reconfigurable seats in two or three rows. The equivalent terms in British English are Multi-purpose Vehicle (MPV), people carrier and people mover. Minivans often have a 'one-box' or 'two-box' body configuration, a high roof, a flat floor, a sliding door for rear passengers and high H-point seating. Mini MPV is the smallest size of MPVs and the vehicles are often built on the platforms of B-segment hatchback models. Compact MPV is the middle size of MPVs. The Compact MPV size class sits between the mini MPV and large MPV (minivan) size classes. Compact MPVs remain predominantly a European phenomenon, although they are also built and sold in many Latin American and Asian markets. The largest size of minivans is also referred to as 'Large MPV' and became popular following the introduction of the 1984 Renault Espace and Dodge Caravan. Since the 1990s, the smaller Compact MPV and Mini MPV sizes of minivans have also become popular. If the term 'minivan' is used without specifying a size, it usually refers to a Large MPV. The premium compact class is the smallest category of luxury cars. It became popular in the mid-2000s, when European manufacturers— such as Audi, BMW and Mercedes-Benz— introduced new entry level models that were smaller and cheaper than their compact executive models. A compact executive car is a premium car larger than a premium compact and smaller than an executive car. Compact executive cars are equivalent size to mid-size cars and are part of the D-segment in the European car classification. In North American terms, close equivalents are "luxury compact" and "entry-level luxury car", although the latter is also used for the smaller premium compact cars. An executive car is a premium car larger than a compact executive and smaller than an full-size luxury car. Executive cars are classified as E-segment cars in the European car classification. In the United States and several other countries, the equivalent categories are full-size car (not to be confused with the European category of "full-size luxury car") or mid-size luxury car. The largest size of luxury car is known as a luxury saloon in the United Kingdom and a full-size luxury car in the United States. These cars are classified as F-segment cars in the European car classification. Vehicles in this category are often the flagship models of luxury car brands. Cars which prioritise handling or straight-line acceleration are often loosely grouped as sports cars or performance cars. These cars can either be built on unique platforms or be upgraded versions of regular cars. Common types of sports/performance cars are summarised below. Hot hatch (shortened from hot hatchback) is a high-performance version of a mass-produced hatchback car. The term originated in the mid-1980s, however factory high-performance versions of hatchbacks have been produced since the 1970s. Front-mounted petrol engines, together with front-wheel drive, is the most common powertrain layout, however all-wheel drive has become more commonly used since around 2010. Most hot hatches are manufactured in Europe or Asia. Muscle car is an American term for high-performance cars, usually rear-wheel drive and fitted with a large and powerful V8 engine. The term originated for 1960s and early 1970s special editions of mass-production cars which were designed for drag racing. A sports sedan — also known as "sports saloon" — is a subjective term for a sedan/saloon car which is designed to have sporting performance or handling characteristics. 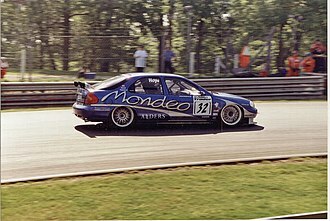 In the United Kingdom, the term super saloon is used instead of sports saloon. 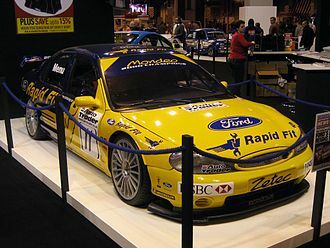 However, super saloon can also be used to describe a racing car that is based on a road-going family car, for example the New Zealand Super Saloon car racing series. A supercar — also called exotic car — is a loosely defined description of certain high-performance sportscars. Since the 1990s or 2000s, the term "hypercar" has come into use for the highest performing supercars. Off-road vehicles, or "off-roaders" are sometimes referred to as "four-wheel drives", "four by fours", or 4x4s — this can happen colloquially in cases where certain models or even an entire range does not possess four-wheel drive. Sport utility vehicles are off-road vehicles with four-wheel drive and true off-road capability. They most often feature high ground clearance and an upright, boxy body design. Sport Utilities are typically defined by a body on frame construction which offers more off-road capability but reduced on-road ride comfort and handling compared to a cross-over or car based utility vehicle. A station wagon, also called an estate car, estate or wagon, is a car body style which has a two-box design, a large cargo area and a rear tailgate that is hinged to open for access to the cargo area. The body style is similar to a hatchback car, however station wagons are longer and are more likely to have the roofline extended to the rear of the car(resulting in a vertical rear surface to the car) to maximize the cargo space. Vehicles can be categorized in numerous ways. For example, by means of the body style and the level of commonality in vehicle construction, as defined by number of doors and roof treatment (e.g., sedan, convertible, fastback, hatchback) and number of seats that require seat belts to meet safety regulations. Regulatory agencies may also establish a vehicle classification system for determining a tax amount. In the United Kingdom, a vehicle is taxed according to the vehicle's construction, engine, weight, type of fuel and emissions, as well as the purpose for which it is used. Other jurisdictions may determine vehicle tax based upon environmental principles, such as the user pays principle. In another example, certain cities in the United States in the 1920s chose to exempt electric-powered vehicles because officials believed those vehicles did not cause "substantial wear upon the pavements". Another standard for road vehicles of all types that is used internationally (except for Australia, India, and the U.S.) is ISO 3833-1977. In an example from private enterprise, many car rental companies use the ACRISS Car Classification Code to describe the size, type and equipment of vehicles to ensure that rental agents can match customer needs to available vehicles, regardless of distance between the agent and the rental company or the languages spoken by either party. In Australia, the Federal Chamber of Automotive Industries publishes its own classifications. 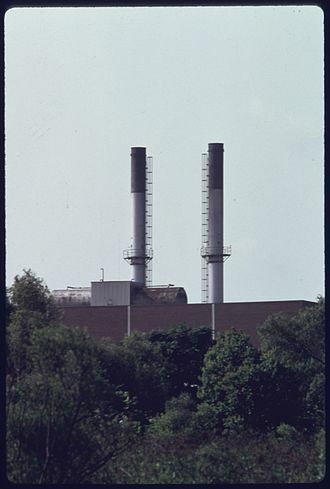 A similar set of classes is used by the Canadian EPA. The Canadian National Collision Database (NCDB) system defines "passenger car" as a unique class, but also identifies two other categories involving passenger vehicles—the "passenger van" and "light utility vehicle"—and these categories are inconsistently handled across the country with the boundaries between the vehicles increasingly blurred. In the United States, since 2010 the Insurance Institute for Highway Safety uses a scheme it has developed that takes into account a combination of both vehicle shadow (length times width) and weight. The United States National Highway Traffic Safety Administration (NHTSA) separates vehicles into classes by the curb weight of the vehicle with standard equipment including the maximum capacity of fuel, oil, coolant, and air conditioning, if so equipped. The United States Federal Highway Administration has developed a classification scheme used for automatically calculating road use tolls. There are two broad categories depending on whether the vehicle carries passengers or commodities. Vehicles that carry commodities are further subdivided by number of axles and number of units, including both power and trailer units. The United States Environmental Protection Agency (US EPA) has developed a classification scheme used to compare fuel economy among similar vehicles. Passenger vehicles are classified based on a vehicle's total interior passenger and cargo volumes. Trucks are classified based upon their gross vehicle weight rating (GVWR). Heavy duty vehicles are not included within the EPA scheme. A generic South African term for light pickup truck. refers to cars made in the early 1900s in Europe. Baquet means bath tub. These cars had two rows of raised seats similar to horse-drawn carriages. Baquets usually did not have front doors, a top, or windshield. A Buggy is an automobile with wheels that project beyond the vehicle body. Normally a two-door body design with special form of car roof, where a retractable textile cover amounts to a large sunroof. A 2-door, 2- or 4-seat car with a fixed roof. Its doors are often longer than those of an equivalent sedan and the rear passenger area smaller; the roof may also be low. In cases where the rear seats are very small and not intended for regular use it is called a 2+2 (pronounced "two plus two"). 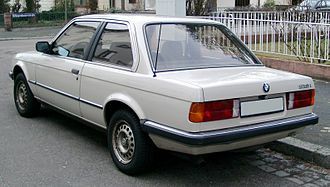 Originally, a coupé was required to have only one side window per side, but this consideration has not been used for many years. Occasionally seen as Fixed Head Coupé, or FHC, particularly when referring to a hardtop version of a convertible. in US used in the funeral industry to carry flowers for burial services. Typically a coupe-style, forward-passenger compartment with an open well in the rear. Incorporates a shared passenger and cargo volume, with rearmost accessibility via a rear third or fifth door, typically a top-hinged liftgate—and features such as fold-down rear seats to enable flexibility within the shared passenger/cargo volume. As a two-box design, the body style typically includes A, B and C-pillars, and may include a D-pillar. A converted car (often a station wagon), light truck or minivan usually used to transport the dead. Often longer and heavier than the vehicle on which they are usually based. Can sometimes double up as an ambulance in some countries, such as the United States, especially in rural areas. Originally, a car with a tapered rear that cuts off abruptly. A limousine with the passenger section covered by a convertible top. A small van, generally related to a supermini, with a second or even a third seat row, and a large, tall boot. A broad marketing term for a hatchback, which incorporates a shared passenger and cargo volume, with rearmost accessibility via a top-hinged liftgate. By definition, a chauffeur-driven car with a (normally glass-windowed) division between the front seats and the rear. In German, the term simply means a sedan. Term for a boxy wagon-type of car that is smaller than a conventional minivan; often without rear sliding door(s). Examples are Citroën Picasso, Renault Scénic, Toyota Yaris Verso or Mercedes-Benz A-Class. In Japan, this term is used for Kei car based vans. Designed to carry fewer people than a full-size bus, generally up to 16 people in multiple rows of seats. Passenger access in normally via a sliding door on one side of the vehicle. One example of a van with a minibus version available is the Ford Transit. Multi-purpose vehicle, a large car or small bus designed to be used on and off-road and easily convertible to facilitate loading of goods from facilitating carrying people. A configuration where the third box of a three-box styling configuration is less pronounced — especially where the rear deck (third box) is short or where the rear window is upright. European name to describe what is usually referred to in North America as a Minivan. An American car classification describing a highly styled mass produced, luxury vehicle with an emphasis on image over practicality characteristically a two-door coupé or convertible with two-passenger or 2+2 seating. A Phaeton is a style of open car or carriage without proper weather protection for passengers. Usually a prefix to coupé, fastback, or hardtop; completely open at the sides when the windows are down, without a central pillar, e.g. the Sunbeam Rapier fastback coupé. Originally an open car like a roadster, but with a soft top (cloth top) that can be raised or lowered. Unlike a convertible, it had no roll-up side windows. Now often used as slang for a convertible. aka Coupé convertible or Coupé Cabriolet. A type of convertible forgoing a foldable textile roof in favor of a multi-segment rigid roof retracts into the lower bodywork. Originally a two-seat open car with minimal weather protection — without top or side glass — though possibly with optional hard or soft top and side curtains (i.e., without roll-up glass windows). In modern usage, the term means simply a two-seat sports car convertible, a variation of spyder. A car seating four or more with a fixed roof that is full-height up to the rear window. Known in British English as a saloon. Sedans can have 2 or 4-doors. Initially a vehicle used to carry shooting parties with their equipment and game; later used to describe custom-built wagons by high-end coachbuilders, subsequently synonymous with station wagon or estate; and in contemporary usage a three or five-door wagons combining features of a wagon and a coupé. Derivative of a pickup truck or 4-wheel-drive vehicle, but with fully enclosed passenger cabin interior and carlike levels of interior equipment. 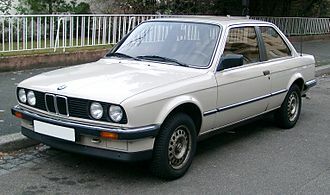 A variant of a sedan/saloon, (also known as estate or estate car) or with its roof extended rearward over a shared passenger/cargo volume; access at the back via a third or fifth door instead of a trunk lid; flexible configurations to vary passenger or cargo volume; and two or three rows of seating — in a two-box design with a A, B & C-pillar, as well as a D pillar. A semi-convertible style used on some sports cars, featuring a fully removable hard top roof panel which leaves the A and B pillars in place on the car body. Essentially the inverse of the landaulet, a historical body style in which the front seats were open and the rear compartment closed, normally with a removable top to cover the front chauffeur's compartment. In Europe the style is also known as Sedanca de Ville, often shortened to Sedanca or de Ville. Note that the modern Lincoln Town Car derives its name, but nothing else, from this style. A term used originally in Australia and New Zealand to describe usually two-wheel-drive, traditionally passenger vehicles with a cargo tray in the rear integrated with the passenger body; as opposed to a pickup whose cargo tray is not integrated with the passenger body. North American term (mainly U.S. and Canada). Similar to a sedan delivery, with four doors. In North America "van" refers to a truck-based commercial vehicle of the wagon style, whether used for passenger or commercial use. Usually a van has no windows at the side rear (panel van), although for passenger use, side windows are included. In other parts of the world, 'van' denotes a passenger-based wagon with no rear side windows. Some non-English language terms are familiar from their use on imported vehicles in English-speaking nations even though the terms have not been adopted into English. Italian term for a roadster with no roof. The name, roughly "small boat", comes from an exclamation when the Ferrari 166MM Touring was shown. Italian and Spanish term for a sedan. French term for a sedan. 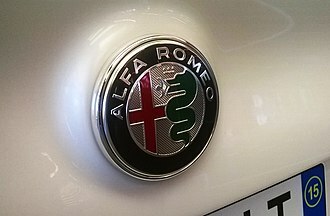 Italian term for a sport coupé. French term for a station wagon. Brazilian Portuguese term for a station wagon (specially in the state of Rio de Janeiro). Spanish term also used in Argentina and Uruguay. Portuguese term for a station wagon. Not used in Brazilian Portuguese. Spanish term for a sport cars. Portuguese nickname for a limousine (the same word for Sword – long piece of metal). Not used in Brazilian Portuguese. Spanish and Polish term for a van, in the latter language almost always used in its diminutive form furgonetka. Portuguese alternative term (less used) for a van. Used in Brazilian Portuguese, most often for vans but sometimes for panel van variants of passenger cars. 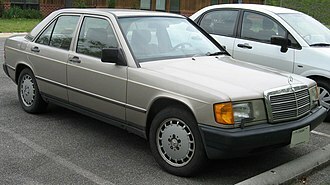 is a German abbreviation of "Kombinationswagen" (Combination Car) and it is German name for station wagon. Since Germany is a major producer of cars for many European countries, the term Kombi in this meaning is also used in Swedish, Czech, Slovak, Polish, Hungarian, Spanish, Portuguese, Bulgarian. In Serbian, Croatian, Bosnian, Slovenian kombi refers to a van. In Afrikaans and in Australia, Kombi is also used to refer to a Volkswagen Microbus. In Brazil, Argentina and Uruguay the word specifically refers to the VW Microbus. ^ Alborz, Fallah. "New Car Sales Figures June 2015". Car Advice. Car Advice. Retrieved 1 August 2015. ^ "Japan Seeks to Squelch Its Tiny Cars". New York Times. Retrieved 17 February 2015. ^ a b c "How are vehicle size classes defined?". Fueleconomy.gov. US: Department of Energy. Retrieved 22 April 2012. ^ Klier, Thomas H. (2010). From Tail Fins to Hybrids: How Detroit Lost Its Dominance of the U. S. Auto Market: A Reprint from "Economic Perspectives". Diane Publishing. p. 6. ISBN 9781437919172. Retrieved 23 January 2019. ^ "Fuel Economy of the 2010 Toyota Avalon". Fueleconomy.gov. US: Department of Energy. Retrieved 16 July 2016. ^ "2014 Mercedes-Benz CLA-Class Review". Edmunds.com. Retrieved 2014-03-11. ^ "Comparison Test: German Compact Luxury Sedans". www.autos.ca. 4 December 2012. Retrieved 3 February 2019. ^ "2018 Cadillac ATS-V Review, Ratings, Specs, Prices, and Photos". www.thecarconnection.com. Retrieved 3 February 2019. ^ "2018 Auto123.com Awards: Luxury compact car". www.auto123.com. Retrieved 3 February 2019. ^ "Consumer Reports: Most Reliable Cars". www.cnn.com. 28 October 2013. Retrieved 3 February 2019. ^ "Top 7 Entry-Level Luxury Cars for 2014". www.autotrader.com. Retrieved 3 February 2019. ^ "10 Entry-Level Luxury Vehicles For 2015". www.autobytel.com. Retrieved 3 February 2019. ^ "Entry-Level Luxury". www.autonxt.net. 6 April 2018. Retrieved 3 February 2019. ^ "What's The Best New Entry Level Luxury Car?". www.jalopnik.com. Retrieved 3 February 2019. ^ "Best Used Entry-Level Luxury Cars". www.autobytel.com. Retrieved 3 February 2019. ^ "Cadillac CT6 June 2016". US: Car and Driver. 25 May 2016. Retrieved 16 July 2016. ^ Auto Editors of Consumer Guide (12 January 2007). "1970 AMC Rebel Machine". HowStuffWorks.com. Retrieved 24 January 2019. ^ McClurg, Bob (31 July 2015). "Red, White & Fast: 1970 AMC Rebel Machine". Hot Rod Network. Retrieved 25 January 2019. ^ Hillier, Victor; Coombes, Peter (2004). Hillier's Fundamentals of Motor Vehicle Technology: Volume 1 (5th ed.). Nelson Thornes. p. 11. ISBN 978-0-7487-8082-2. Retrieved 15 January 2013. The estate body, also known as station wagons in some countries, has the roofline extended to the rear of the body to enlarge its internal capacity. Folding the rear seats down gives a large floor area for the carriage of luggage or goods. Stronger suspension springs are fitted at the rear to support the extra load. Hatchback: ...as with the estate, the rear seats fold down to give a flat floor for the transportation of luggage or other objects. When the tailgate is closed, the luggage compartment is usually covered with a parcel shelf. ^ Code of Federal Regulations, Title 40, Protection of Environment, PT. 425 699. US: Office of the Federal Register. 2010. p. 862. ISBN 9780160889318. Retrieved 1 March 2016. ^ "Notes About Driver and Vehicle Licensing Agency: Tax Classes" (PDF). www.direct.gov.uk. Retrieved 12 August 2014. ^ Sperling, Daniel; Kurani, Ken (September 2001). Transportation, Energy, and Environmental Policy. Transportation Research Board. p. 230. ISBN 0-309-08571-3. Retrieved 12 August 2014. ^ Berry, Claude Perrin (1921). The law of automobiles. Callaghan. p. 137. Retrieved 12 August 2014. ^ International Organization for Standardization. "ISO 3833:1977 Road vehicles – Types – Terms and definitions" (PDF). autoparts-standard.org. Archived from the original (PDF) on 23 August 2015. Retrieved 12 August 2014. ^ "VFACTS Motor Vehicle Classifications and Definitions". Australia: Federal Chamber of Automotive Industries. Retrieved 12 August 2014. ^ "Canadian Environmental Protection Act, 1999" (PDF). Canada Gazette Part II. 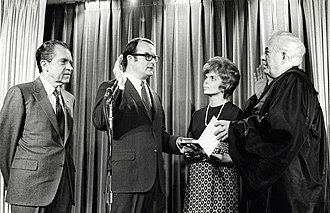 137 (1). Archived from the original (PDF) on 23 May 2013. Retrieved 12 August 2014. ^ Clayton, Alan; Montufar1, Jeannette; Middleton, Dan; McCauley, Bill (August 2000). "Feasibility of a New Vehicle Classification System for Canada" (PDF). U.S. Department of Transportation. Archived from the original (PDF) on 1 November 2004. Retrieved 12 August 2014. ^ "Vehicle size and weight: Bigger heavier vehicles protect their occupants better". Fatality Facts. Insurance Institute for Highway Safety. Retrieved 29 May 2017. ^ "NHTSA 5-Star Ratings FAQ". U.S. Department of Transportation. Archived from the original on 8 August 2014. Retrieved 12 August 2014. ^ "FHWA Vehicle Types". U.S. Federal Highway Administration. 5 April 2012. Retrieved 12 August 2014. ^ "Bakkie: definition". Oxforddictionaries.com. Retrieved 12 August 2014. ^ Haajanen, Lennart W. (2003). CIllustrated Dictionary of Automobile Body Styles. McFarland. p. 29. ISBN 9781476614809. Retrieved 17 August 2015. ^ "Flower Cars: A Glance At A Forgotten Funeral Vehicle". Luxury Coach & Transportation Magazine. 1 January 1990. Retrieved 13 December 2018. The Hyundai Elantra, or Hyundai Avante in South Korea, is a compact car produced by the South Korean manufacturer Hyundai since 1990. It is now in its sixth generation, the Elantra was initially marketed as the Lantra in Australia and some European markets. In Australia, this was due to the similarly named Mitsubishi Magna Elante model and this gave rise to disagreement with other motor manufacturers, and the name was standardized as Elantra worldwide in 2001. Launched in October 1990, the Elantra received a facelift in 1993. The Elantra was powered by a Mitsubishi-designed 1.6 L straight-four and this DOHC 16-valve 1.6 L unit produced 113 hp at 6000 rpm and could push the Elantra to 60 mph in 9.5 seconds. The quarter-mile run took 17.1 seconds and produced 80 mph, the Elantra got 22 mpg‑US in the city cycle. Starting in 1993 a Mitsubishi-designed 1.8 L inline-four option was available, the vehicle was refreshed in 1992 for the European market, adding Hyundais current logo to the grille, although North American models retained the previous years look. In 1993, the vehicle was refreshed again, the third and final facelift of this generation occurred in 1994 for both front and rear fascias. The vehicle featured ABS brakes, front airbags, fog lamps, power-operated side mirrors and optional alloy seven-spoke wheels. The Thailand options were,1.5 GL1.6 GL1.6 GLS1.8 GT1.8 GTS Launched in 1995, the second generation was offered as a sedan and station wagon. It was sold in the South Korean market as the Hyundai Avante in sedan form, some export markets such as Australia and Europe received the series as the Hyundai Lantra as per the first generation. Australian market wagons were titled Lantra Sportswagon, between 1996 and 1998, the Elantra was marketed as the Bimantara Nenggala in Indonesia. In Europe,1996 through 1997 sedan models had carried a silver Mercury-type false grille, while the wagon carried no front grille, at launch, a 1. 5-liter Alpha SOHC inline-four engine and 1. 8-liter Beta DOHC gasoline I4 engine were available domestically. Later, a 1. A subcompact car is the American term for an automobile with a class size smaller than a compact car, usually not exceeding 165 inches in length, but larger than a microcar. According to the United States Environmental Protection Agency, a car is classified as subcompact if it has between 85 cubic feet and 99 cu ft of interior volume. The subcompact segment equates roughly to A-segment and B-segment in Europe, or city car, in 2012, the New York Times described the differences, saying today’s small cars actually span three main segments in the global vehicle market. The tiny A-segment cars include the Chevrolet Spark and Smart Fortwo, they’re extremely short and very light. Slightly larger are B-segment cars like the Ford Fiesta and Chevrolet Sonic, the A- and B-cars are known as subcompacts. Previously, cars in this size were variously categorized, including small automobile and this type of car has been around since the 1940s with the Crosley, and in the 1950s with the captive import, the Nash Metropolitan. A number of imported models, notably the Volkswagen Beetle and various small British cars, were marketed as economy cars during this time. 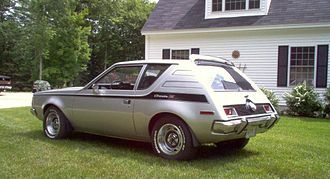 The AMC Gremlin was described at its April 1970 introduction as the first American-built import, the Chevrolet Vega and Ford Pinto subcompacts were introduced in September 1970 for the 1971 model year. The Pontiac Astre, the Canadian-born re-badged Vega variant was released in the U. S, the Camaro was scheduled for cancellation, but sales stabilized with the end of the 1970s energy crisis. The Monza with its GM variants Pontiac Sunbird, Buick Skyhawk, Plymouth Turismo, Oldsmobile Starfire, at this time another segment started opening up below Gremlin and Vega that became the new subcompact segment. The Chevrolet Chevette was GMs new entry-level subcompact introduced as a 1976 model and it was an Americanized design from Opel, GMs German subsidiary. 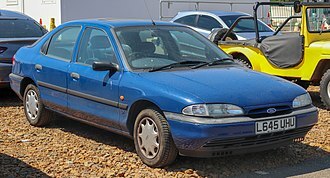 S. Renault Alliance, a version of the Renault 9, in Kenosha, during the 1990s GM offered the Geo brand featuring the Suzuki-built Metro subcompact. The Bond Bug is a small British two-seat, three-wheeled automobile which was built from 1970 to 1974, initially by Bond Cars Ltd and subsequently by the Reliant Motor Company. It is a microcar, with a lift-up canopy and side screens instead of conventional doors. Following the purchase of Bond Cars Ltd, Reliant commissioned Tom Karen of Ogle Design to design a fun car. The Bond Bug was based on Chief Engineer John Crosthwaites newly designed chassis, the original concept was explored by chopping down a production Regal vehicle, the rear of the car being shortened to end over the rear axle. This prototype could be seen for years later, languishing in the yard at the rear of the factory. The engine is the front-mounted 700 cc Reliant light-alloy four-cylinder unit, developed from the Austin 7, at launch 29 bhp was claimed for the less expensive 700 and 700E models. The more up-market 700ES incorporates a redesigned cylinder head which permitted the compression ratio to be increased from 7.35,1 to 8.4,1 and this provided a power increase to 31 bhp as well as improved torque for the range topping 700ES. The Bond Bug 700ES offers more seats as well as more padding over the engine cowl, twin mudflaps, an ashtray, a rubber front bumper. The car enjoyed an upbeat launch, at which Reliants Ray Wiggin stated and its a new form of transport. So now, in fact, we think its going to appeal to a wider section of the market than we originally envisaged. Only three Rothmans bugs are known to exist and its fame was helped along by a distinctive Corgi Toys die-cast toy car. Although it had a short production run, it has a dedicated following today.8 km/h. The Bug was, however, no cheaper than more practical cars and it cost £629, while a basic 850 cc Mini, a four-seater much faster round corners but with considerably inferior acceleration, cost £620. Also, while a basic Lotus Seven cost £945 in 1970, the Wheeler Dealers television programme purchased and restored a Bond Bug 700ES and, after completion, sold it on to make a profit. A Bond Bug was featured in some of the episodes of Hollyoaks as a vehicle belonging to Jambo Bolton. The Volkswagen Polo is a supermini car produced by the German manufacturer Volkswagen since 1975. It is sold in Europe and other markets worldwide in hatchback, related Volkswagen Group models include the Škoda Fabia, SEAT Ibiza and Audi A1. The Volkswagen Polo won the 2010 World Car of the Year, as of 2014, there have been five separate generations of the Polo, usually identified by a Series or Mark number. Some generations were facelifted midway through production, with the versions known unofficially by an addition of the letter F to the mark number. Some press and enthusiasts consider the facelifts to be separate models, each model of Polo is identified by a two or three character Volkswagen Group Typ number. Official VW Polo history describes Mark I to Mark IV using either Roman numerals or Arabic numerals, the body style has been varied through the life of the car, originally as a hatchback which derived from the Audi 50. A saloon version was marketed as the Volkswagen Derby, Volkswagen vehicles built off different platforms have carried the Polo name plate. The current saloon is available in China, Latin America and South Africa. Starting in 1982, Volkswagen sold the Polo in Japan initially through an agreement with Japanese dealership Yanase that specializes in European and North American vehicles. Of all Volkswagens imported into Japan, only the Polo and the Golf, until 1997, Volkswagen helped consolidate the preeminence the so-called hot hatch genre of high-performance hatchbacks with their Golf GTI in 1975, and has produced a number of performance versions of the Polo. The first of these was the Polo GT version of the Mark 1F, the Mark II and IIF were available as supercharged G40 models. The GT G40 with its 1.3 litre 85 kW could reach 100 km/h in 8.1 seconds from standstill and had a speed of 196 km/h. It was used by Volkswagen to set a number of world speed records, such as the 1.3 litre class records for speed over 24 hours. The fastest version of the Mark III on the United Kingdom market was the 16-valve h 74 kW model. A88 kW Polo GTI model was produced, but only in a limited edition in Germany. The Lexus ES is a series of compact, mid-size, and executive car sold by Lexus since 1989. Six generations of the sedan have been introduced to date, each offering V6 engines, the first five generations of the ES were built on the Toyota Camry platform, with the sixth generation more closely related to the Avalon. Manual transmissions were offered until 1993, a lower-displacement inline-four engine became an option in Asian markets in 2010, the ES name stands for Executive Sedan. However, some Lexus importers use the name, Elegant Sedan. Introduced in 1989, the first-generation ES250 was one of two vehicles in Lexus debut lineup, the other being the flagship LS400, the second-generation ES300 debuted in 1991, followed by the third-generation ES300 in 1996, and the fourth-generation ES 300/330 in 2001. The word Windom is a combination of win and the suffix dom expresses a state of perpetual victory, the fifth-generation ES, featuring Lexus own L-finesse body styling, debuted in early 2006 as a 2007 model. The sixth-generation ES debuted in the first half of 2012 as a 2013 model, buyers seeking more performance-focused models are targeted by the Lexus IS and rival makes, with such models offering a sportier drive with differently tuned suspensions. In Europe and other markets where it is not available, in the United States, the Lexus ES has been the best-selling Lexus sedan for over fifteen years. The first Lexus ES debuted in January 1989 at the North American International Auto Show in Detroit as part of the launch of the Lexus division, in order to avoid introducing the nameplate with only one model, the LS400, Lexus debuted the ES alongside their flagship sedan. The smaller representative of the initial two-sedan Lexus lineup was designated the ES250, and powered by the Camrys 2.5 L,116 kW V6, the ES250 was based on the Toyota Camry Prominent/Vista. Inside the cabin, the ES250 featured a six-speaker Pioneer sound system, genuine wood trim, one-touch power windows, a four-speed automatic or five-speed manual transmission was offered. The Audi A4 is a line of compact executive cars produced since late 1994 by the German car manufacturer Audi, a subsidiary of the Volkswagen Group. The A4 has been built in five generations and is based on the Volkswagen Group B platform, the first generation A4 succeeded the Audi 80. The automakers internal numbering treats the A4 as a continuation of the Audi 80 lineage, with the initial A4 designated as the B5-series, followed by the B6, B7, B8 and the B9. The B8 and B9 versions of the A4 are built on the Volkswagen Group MLB platform shared with many other Audi models, the Audi A4 automobile layout consists of a longitudinal engine front-engine design, with transaxle-type transmissions mounted at the rear of the engine. The cars are front-wheel drive, or on some models, quattro all-wheel drive, the A4 is available as a sedan and station wagon. The first generation Audi A4 debuted in October 1994, with production starting November 1994, North American sales began in September 1995 for the 1996 model year. It was built on the Volkswagen Group B5 platform, which it shared with the fourth generation Volkswagen Passat and it had a front-mounted longitudinal engine and front-wheel drive. Many variations of the A4 were available with Audis quattro four-wheel drive system, the A4 was initially introduced as a four-door saloon/sedan, the Avant was introduced in November 1995 and went on sale in February 1996. Development began in 1988, with the first design sketches being created that year, by 1991, an exterior design by Imre Hasanic was chosen and frozen for November 1994 production by 1992. The interior design was finalized in 1992, with pilot production commencing in the first half of 1994. Development concluded in the quarter of 1994, preceding November 1994 start of production. The 2.6 and 2. 8-litre V6 engines which had carried over from the old 80/90 proved popular, although in North America. A turbocharged 1. 8T version produced 150 PS and 210 newton metres torque, moreover, a quattro GmbH special edition of the B51. A mid-size car is the North American/Australian standard for an automobile with a size equal to or greater than that of a compact. In Europe mid-sizers are referred to as D-segment or large family cars, the automobile that defined this size in the United States was the Rambler Six that was introduced in 1956, although it was called compact car at that time. The mid-size class grew out of the compacts of the early-1960s, for example, the Ford Fairlane was referred to at its introduction in 1962 as a compact intermediate because it was barely bigger than its close relative, the Falcon. General Motors first entries in the class, such as the Oldsmobile F-85, Pontiac Tempest, and Buick Special were not mechanically related to the compact Chevrolet Corvair, at that time vehicle classes were defined more by their wheelbase than interior passenger space and cargo capacity. The class began to rapidly, and for the next ten years each expansion in size in the full-size field was followed by a proportionate growth in the mid-size models. By the mid-1960s, they were as big as the cars of the mid-1950s. By the mid-1970s, they were nearly as big as the cars of the mid-1960s. During the 1970s, the class was generally defined as vehicles with wheelbases between 112 inches and 118 inches. A turning point occurred in the late 1970s, when rising costs and government fuel economy regulations caused all car classes to shrink. Automakers moved previously full-size nameplates to smaller platforms, new official size designations in the U. S. were introduced by the EPA, which defined market segments by passenger and cargo space. Formerly mid-sized cars that were built on the platform, like the AMC Matador sedan, had a combined passenger and cargo volume of 130 cubic feet. The situation was complicated when General Motors began to downsize its models about two years before everybody else, in 1978, the Chevrolet Malibu nameplate had been redesigned on a 108-inch wheelbase, while the Ford Granada moved to the 105-inch wheelbase of the Ford Fairmonts Fox platform in 1981. Both competed with the Chrysler standard and extended K-cars, often classified as compact, former mid-size platforms such as the Plymouth Satellite would be rebranded as full-size, rebodied, or dropped in the face of the downsized Chevrolet Caprice. Some were subsequently replaced by used to be large compacts. The Granada would be badged with the LTD moniker before being replaced by the class-defining Ford Taurus, import models such as the Honda Accord and Toyota Camry that had been classified by the EPA as compact in 1985 grew to the mid-size class by the 1990s. The Accord grew even larger, its eighth North American sedan version was classified by the EPA as a full-size car, the current ninth generation North American sedan was slightly smaller than its immediate predecessor, putting it once again in the mid-size class. Mid-size vehicles today usually have wheelbases between 105 inches and 110 inches, another widely used definition is that of the EPA, which classifies cars between 110 cubic feet and 119 cubic feet of interior volume as mid-size. The Mazda 6 or Mazda6 is a Midsize family produced by the Japanese car manufacturer Mazda since 2002. It replaced the long-produced Mazda Capella in 2002, the Mazda6 sold more than one million units faster than all previous Mazdas. The 2003 Mazda6 is essentially the 6th generation Mazda 626 as the Mazda6 continues on the G-platform, length 192.7 width 72.4 wheelbase 111.4 height 57.5 The GG series was launched in Japan as the Mazda Atenza in May 2002. The model lineup consists of a sedan, a five-door hatchback. In Australia, the lineup starts with Limited, available only as a saloon, comes the Classic, available in saloon, hatch or estate. The Luxury model is available in saloon and hatch versions. Topping the range is the Luxury Sports model, available only as a hatch, in New Zealand the lineup consisted of 2. 0L GLX,2. 3L GSX, and the range-topping 2. 3L Limited. When it arrived in North America, it was first sold as a 2003 model in the United States, in Europe, the luxury sports model was available as a 120 hp direct injection turbodiesel estate up until 2007. As of 2008, the European Mazda catalog lists only the Sport version of the 146 hp turbodiesel estate, while the Luxury Sport version has been dropped. Drivetrain combinations include the Mazda MZR engine in configurations of 1.8 L,2.0 L and 2.3 L, in the US domestic market a 3.0 L Duratec 30 V6 engine is available with a five-speed manual or five-speed automatic. In North America, the 5-speed automatic optional on the V6 models is replaced by an Aisin 6-speed automatic for 2005 model year, the four-cylinder model receives a Jatco five-speed automatic in the following year. Power is directed to the front wheels in most markets, although full-time all-wheel-drive models are available in Japan, the MZI V6 engine was only fitted to vehicles manufactured at Flat Rock and destined for the US and Canadian domestic markets. Ford plans to offer a hybrid powertrain on the platform, the official Mazda chassis codes are GG and GY series – following the 626/Capella in its GF/GW series. Mazdas Hofu plants in Yamaguchi Prefecture, Japan produce the Mazda6 for international markets from February 2002 to August 2007, in North America, Mazda 6 production is handled at the AutoAlliance International plant which is a joint venture between Ford and Mazda. The Volkswagen Passat is a large family car produced by the German automaker Volkswagen since 1973, through eight design generations. In 2008, Volkswagen extended its range with the launch of the Passat CC, Volkswagen currently markets two variants of the Passat globally. In January 2011, Volkswagen announced that the new mid-size sedan being built at the Volkswagen Chattanooga Assembly Plant for the North American market would be named the Passat, Shanghai Volkswagen Automotive manufactures the Passat NMS in its Nanjing factory. The NMS is sold in the North American, South Korean, the Volkswagen Passat NMS won the 2012 Motor Trend Car of the Year. A new Passat model entered production in Europe in 2014, based on the MQB platform, the original Volkswagen Passat was launched in 1973. The body types offered originally were two- and four-door sedans and similar looking three-, externally all four shared a modern fastback style design, styled by the Italian designer Giorgetto Giugiaro. In essence, the first Passat was a version of the mechanically identical Audi 80 sedan. A five-door station wagon was introduced in 1974, in Europe, the Passat was equipped with two rectangular, two round 7-inch, or four round 5. 5-inch headlights depending on specification. 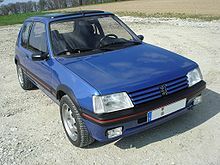 The Passat was one of the most modern European family cars at the time, the only other European cars of its size to feature front-wheel drive and a hatchback were the Renault 16 and Austin Maxi. It had a MacPherson strut front suspension with a solid axle/coil spring setup at the rear, the SOHC1. 5-litre was enlarged to 1. 6-litre in August 1975 with unchanged power ratings and slightly higher torque ratings. In July 1978 the Passat Diesel became available, equipped with the VW Golfs 1. 5-litre diesel, in North America, the car was called the Volkswagen Dasher. The three- and five-door hatchback and a wagon model were launched in North America for. Sole available engine was a carburetted 1. 5-litre inline-four developing 75 hp, North American cars were equipped with single DOT standard headlights. In 1978 the Dasher received a facelift along the lines of the European Passat, with sealed beam headlights. Rambler Six "compact" car later reclassified as an "intermediate"